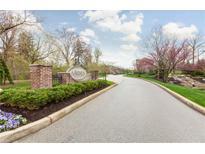 Find Carmel, IN Condos for sale. View Photos, Maps and MLS Data Now! Traditions On The Monon - Enjoy cooking in your spacious kitchen with stainless steel appliances, center island and a separate bar area to enjoy your favorite meal. Schedule a private tour today! MLS#21635165. F.C. Tucker Company. Arden Townhomes - See it today and find yourself living here tomorrow. MLS#21633694. CENTURY 21 Scheetz. Village Green - Truly a must see. Welcome home! MLS#21632514. F.C. Tucker Company. Traditions On The Monon - This one won't last long! MLS#21631067. F.C. Tucker Company. Providence At Old Meridian - The gym is brand new and the pool is being updated now and will be ready to go for summer 2019! MLS#21631369. CENTURY 21 Scheetz. 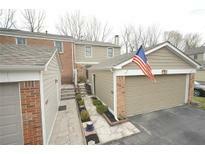 Carmelaire - All of this walking distance to Main Street and City Center! MLS#21632711. RE/MAX Ability Plus. Maples Of Carmel - Community has a swimming pool and you can't beat the convenient location to shopping and restaurants within walking distance. MLS#21631987. One Great Realty LLC. Traditions On The Monon - Steps from the Monon and only a 5 minute walk to The Arts and Design District, shopping and restaurants. MLS#21631295. Havens LLC. Guilford Reserve - Master Suite with Tray Ceiling, Bay Windows, Walk-in Closet, Double Sinks, Separate Tub and Shower. Convenient to Everywhere! MLS#21631263. CENTURY 21 Scheetz. Hunters Glen - Ýou'Lower Level also love the convenience of your own parking spot, and a great neighborhood near it all with shops, restaurants and bars minutes away. MLS#21630158. Liberty Real Estate, LLC..
Hunters Glen - HOA fee includes water, sewer, trash, clubhouse, lawn care, snow removal and community pool. MLS#21629406. F.C. Tucker Company. 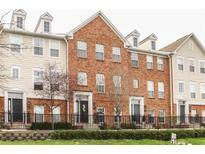 Wentworth At West Clay - Easy walk to shopping and dining too! MLS#21628073. CENTURY 21 Scheetz. 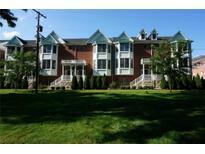 Monon & Main - This home won't last long! MLS#21630255. RE/MAX Elite Properties. Close to all Carmel has to offer...restaurants, shopping, schools, Arts & Design District! MLS#21630166. Liz Foley Real Estate, Inc..
Hunters Glen - MLS#21630068. Sargent Realty Group LLC. Maples Of Carmel - You can buy cheaper than pay rising rents! Owner occupied only. MLS#21627324. F.C. Tucker Company. Hunters Glen - Laundry in unit and all appliances are included! MLS#21629591. RE/MAX Ascent. Village Of WestClay - Enjoy Maintenance Free living & all amenities the Village has to offer including short walk to 24 hr exercise room, access to 3 Clubhouses, poo,l tennis, parks,shops,trails, restaurants and so much more.. MLS#21629271. RE/MAX Ability Plus. Townhomes At Hazel Dell - This townhome was a model and has a lot of upgrades and is one of the largest model in the neighborhood. Motivated Seller just reduced 25K. 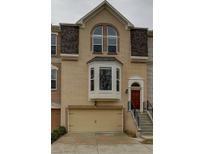 MLS#21629320. Value Realty Services LLC. * Washer/dryer stay* This condo backs up to a privacy fence and tree line so time spent on the covered patio is delightful! MLS#21625720. F.C. Tucker Company. Village Green - Stroll the Monon to Main Street in Carmel for shopping & dining too! 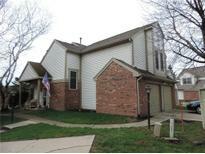 I MLS#21624240. Keller Williams Indy Metro NE. Townhomes At Guilford - Master suite boasts, vaulted ceilings, walk-in closet, glass shower stall, garden tub and double sinks. MLS#21627969. DAVID BRENTON'S TEAM. 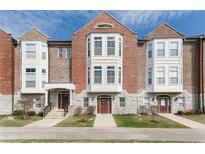 Townhomes At Guilford - This is truly a must see! MLS#21628090. RE/MAX Elite Properties.